North American Bitcoin Conference that took place in Miami last week gathered around 4,000 people including entrepreneurs, investors, lawyers and leaders who came together to speak to the crypto community. 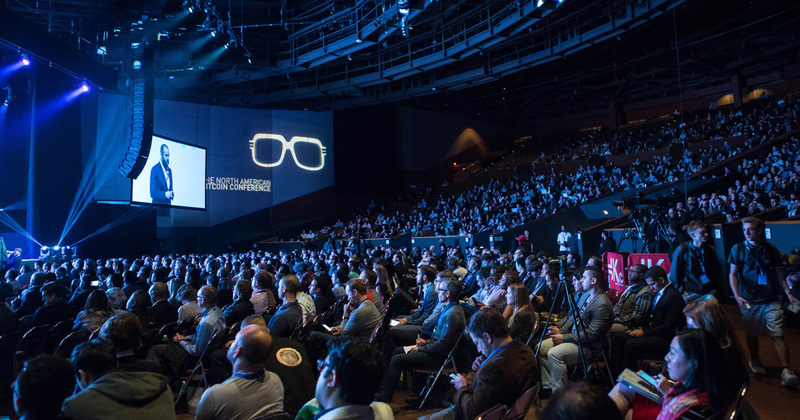 The conference has come a long way from the 100 attendee event in 2012. Its founder Dr. Moe Levin hosted this year’s event that informed crypto community of current developments, investment opportunities, and trends and provided a great atmosphere to network. English soccer team Arsenal is entering the cryptocurrency world by signing a deal to promote new digital tokens (CashBet Coin) being sold by an American gaming software company, California-based CashBet. Another hard fork in the Bitcoin blockchain will be giving birth to a new Bitcoin derivative named Bitcoin Atom (BCA). The Bitcoin Atom (BCA) fork is coming up quickly, at Bitcoin block #505 888, estimated to occur on January 25, 2018. Stellar’s XLM coin jumps 21.2 percent to about 58.96 cents, according to CoinMarketCap. The gains come after online payments company Stripe says it may add support for stellar in the future, while phasing out use of bitcoin. The average confirmation time over the last seven days for bitcoin transactions has leaped up to well over a day, according to Blockchain.info, while stellar says transactions on its network settle in two to five seconds. The recent drop in Ethereum prices may have hurt quite a few investors betting on the rise of cryptocurrency—but the digital coin is still a boon to investors of semiconductor stocks Nvidia (NVDA, -1.27%) and Advanced Micro Devices (AMD). That’s based on a Tuesday note from Morgan Stanley analysts led by Joseph Moore, who say that Ethereum prices have remained high overall—up about 8,900% over the past year—making Ethereum mining more profitable. In turn, that profitability has driven consumers to snap up graphics processing units (GPUs) used to mine, or acquire new cryptocurrencies, from major suppliers such as AMD and Nvidia. Projects which raise funds through “initial coin offerings” (ICOs) are attacked by cyber criminals 100 times a month on average, according to a report published by Moscow-based cyber security firm Group-IB on Wednesday, was based on an analysis of 450 attacks on ICOs since the beginning of 2017. Attempts by hackers to steal money from ICO projects increased tenfold over the period. Group-IB also took part in a study published this week by Ernst & Young which showed that roughly $400 million of the $3.7 billion raised via ICOs to date had been stolen. A research of cybersecurity firm RiskIQ found that 661 blacklisted cryptocurrency apps were found across 20 app stores including Apple’s App Store, Google Play and others. Google Play hosted the highest amount of malicious crypto apps, the report said, with 272 available for download on the app store. Hackers have used apps including phrases like “bitcoin exchange,” “bitcoin wallet” and “cryptocurrency” to lure potential victims, according to the report. The chairman of the State Duma Committee on Financial Markets, Anatoly Aksakov stated that the current draft of Russian cryptocurrency bill requires government officials to declare their cryptocurrency investments. The draft is currently under review by the Russian Ministry of Finance and the Central Bank with the final version of the bill slated to be released no later than July 1, 2018, according to Forklog. Phillip Securities Thailand says Thais interested in investing in regulated bitcoin futures have to meet the company’s criteria and be prepared to shoulder the risks associated with high fluctuations in price. Investors must have a strong balance sheet, pass the company’s suitability test, which includes a risk profile, and have a good understanding of futures contracts and bitcoin, said chief executive Prachaya Kulvanichpisit. US regulators accused a Nevada company and two men involved with it of misappropriating over US$6 million from customers seeking to buy a virtual currency called My Big Coin.They raised about US$6 million from 28 customers with false and misleading claims about their virtual currency’s value and usage and touted it as backed by gold. Financial Services Commission Vice Chairman Kim Yong-beom announced measures to ban anonymous trading on domestic exchanges, while foreigners and minors would be completely banned from trading through cryptocurrency accounts. Both measures go into effect 30 January.